The eighth day of Navratri of great significance and is dedicated to the Goddess Maha Gowri. 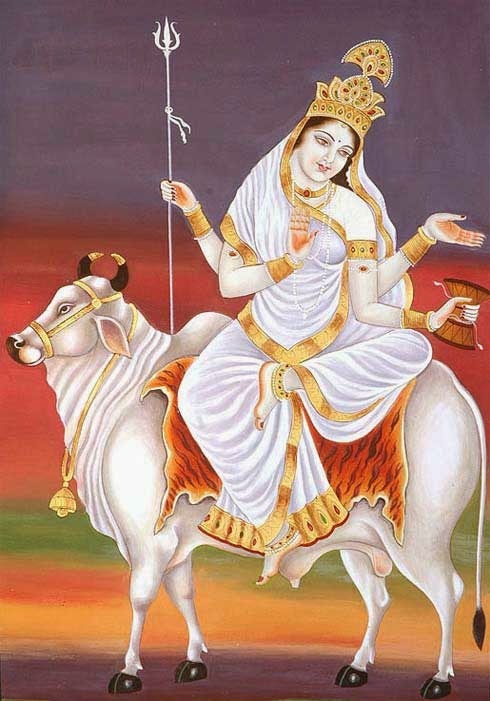 She is worshipped on October 17, 2018 during Navratri. Goddess Durga is worshipped in the form of Maha Gouri. Gowri or Gouri is another name of Goddess Parvati. The day is also the second day of Saraswati Puja during Navratri. Durga Ashtami Puja is held on this day in Bengal, Orissa and other parts of India. Goddess Bagala, Narayani and Bhadrakali form of Durga are also worshipped on this day in many parts of India. In Maha Gowri form, Goddess Durga is depicted as having four hands and she rides a Bull. In this form, Gowri is believed to have done penance to get Lord Shiva as husband. Durga Ashtami Puja is observed on this day in many parts of India mainly in Bengal, Orissa, Jharkhand and other eastern parts of India. Bagala and Narayani form of Durga is worshipped mainly in Gujarat and Maharashtra on the day. Bhadrakali form of Durga is worshipped mainly in Kerala, Karnataka and other parts of South India. Goddess Mahagauri has control over the Navagraha Rahu. Those facing problems in life related to Rahu in horoscope will get relief after performing puja and prayers of Goddess Mahagauri. This form of Mother Goddess influences the sixth and eighth house of the janam kundali or birth chart of a devotee. She helps a devotee to defeat enemies and all kinds of diseases of the physical body. She blesses couples with long and happy married life. She removes all kinds of problems associated with marriage and married life. She blesses devotees with long and life and also helps in maintaining peace in the house. Prayers to this form of Goddess should be performed facing southwest. She should be offered white and blue color flowers.